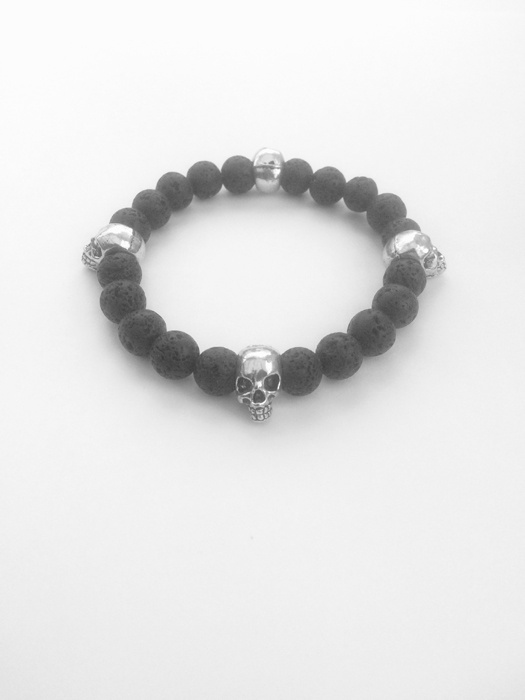 Lava Rock ‘n’ Skull Aromatherapy Bracelet - with lava rock beads and Tibetan silver skulls. Lava rock is porous and will absorb your favourite aromatherapy oils. Just rub a drop into the beads and allow to dry before wearing to have the benefits with you all day.